Netlify’s CDN runs on six different cloud providers, but up until recently, its origin servers relied on only one. That meant its origin servers were subject to the performance and uptime characteristics of a single provider. The company needed make sure that in the face of a major outage from an underlying provider anywhere in its network, Netlify’s service would continue with minimal interruption. 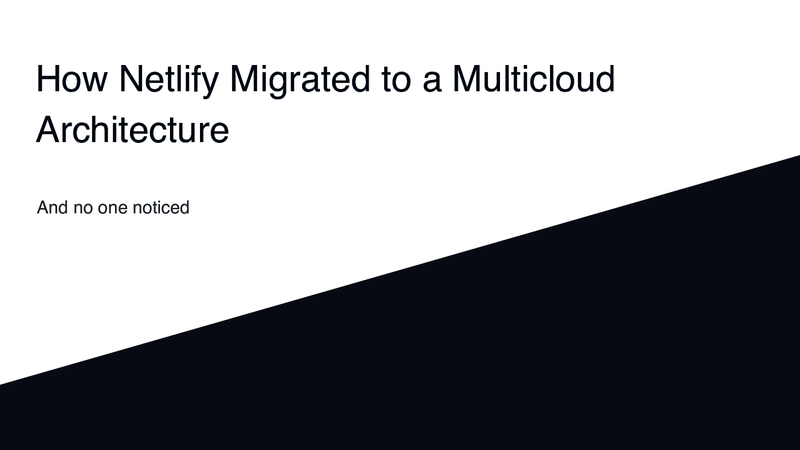 Ryan Neal explains how Netlify planned, tested, and executed its first multicloud migration that could direct traffic to Google Cloud (GCP), AWS, and Rackspace Cloud on demand, without any service interruptions. Along the way, Ryan shares lessons learned and key takeaways you can apply to your own infrastructure decisions. Ryan puts presentations on for free. You can too.